Like last year the tango festival MILONGUERO NIGHTS 2013 was held in Moscow. The fashion designer Ute Prause travelled to Russia to meet tango friends and present her tango clothing brand UP-Tango and her collection of tango clothing and dance wear at the tango festival. MILONGUERO NIGHTS thrilled the audience with daily milogas, tango concerts, dance shows and the possibility to meet and greet friends from the international tango community. Also Ute had a lot of fun showing her collection of dance dresses while enjoing all kind of tango events. Especially the tango performance of Eduardo Cappussi and Mariana Flores deeply impressed her. 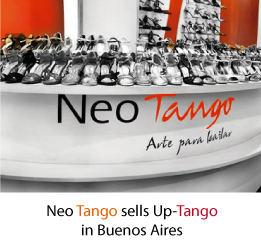 If you missed the tango festival along with the UP-Tango stand you still have the opportunity to visit the UP-Tango Online Shop for dance wear and purchase elegant tango clothing and dance dresses of the current UP-Tango collection online. Don’t miss it!